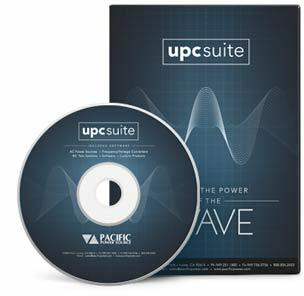 IRVINE, Calif. – April 2, 2019 – Pacific Power Source, a world leader in high-performance AC power sources and power conversion equipment, has released an new line of compact yet high power programmable AC sources. The new ADF Series of products offers cost-effective, stable and well-regulated AC power conversion from 45Hz to 500Hz with output voltages up to 300Vac on single-phase models and 300VLN and 520VLL on three-phase models. Higher frequency and voltage output options are available if needed. Output power starts at 15kVA per 4U rack high unit as models 1150ADF and 3150ADF for single or three phase requirements respectively. Single-phase models are offered up to 45kVA and three-phase models up to 90kVA using a master/slave parallel scheme. These master/slave power source configurations can be ordered for self-installation into a customers’ 19” instrument rack or completed assembled in an off-the shelf 19” Cabinet from the factory. The ADF series builds on the existing all digital power conversion technology developed for the widely successful AFX Series but encompasses only the most used features and functions for product test, ATE and burn-in applications for automated test applications. All ADF power sources offer fully programmable voltage, frequency, current limit and power limit settings as well as programmable slew rates for voltage and frequency changes. They also feature a complete set of measurement functions for Voltage, Current, True Power, Apparent Power, VAR, Peak Current, Crest Factor and Power Factor. All functions and measurements are available through one of four standard remote control interfaces; LAN with LXI Compliance, GPIB, USB and RS232. Analog and Digital I/O functions are standard on all ADF models as well. ADF Series power sources feature active power corrected AC inputs with a wide input voltage range that can be deployed anywhere in the world. 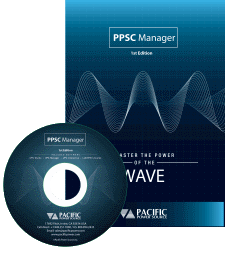 Additional features and capabilities include compatibility with the Pacific Power PPSC Manager Windows control software. For complete information, call (888) 239-1619 or email info@pacificpower.com.